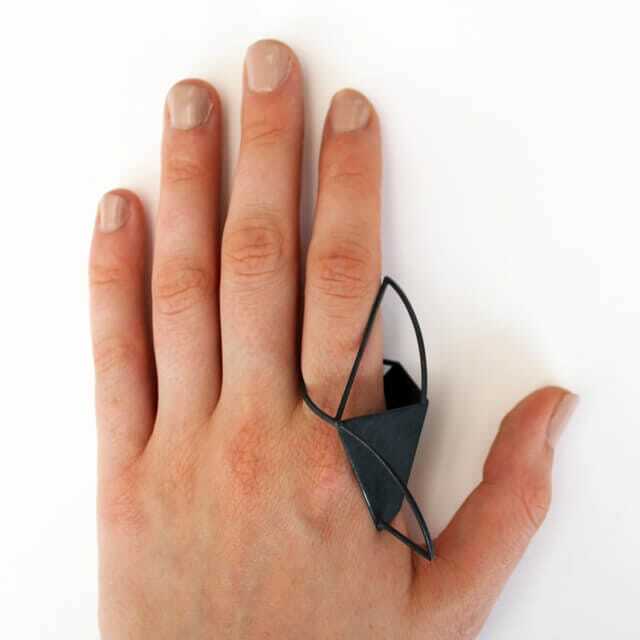 A sculptural, oxidised silver ring which can be worn in various ways. 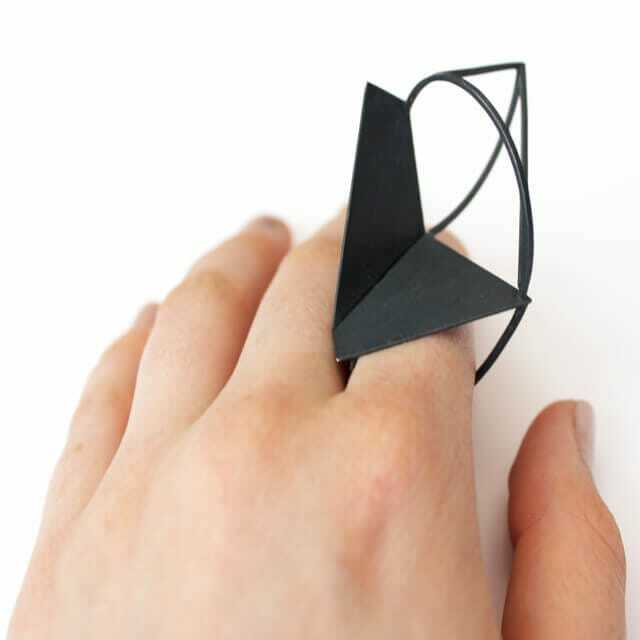 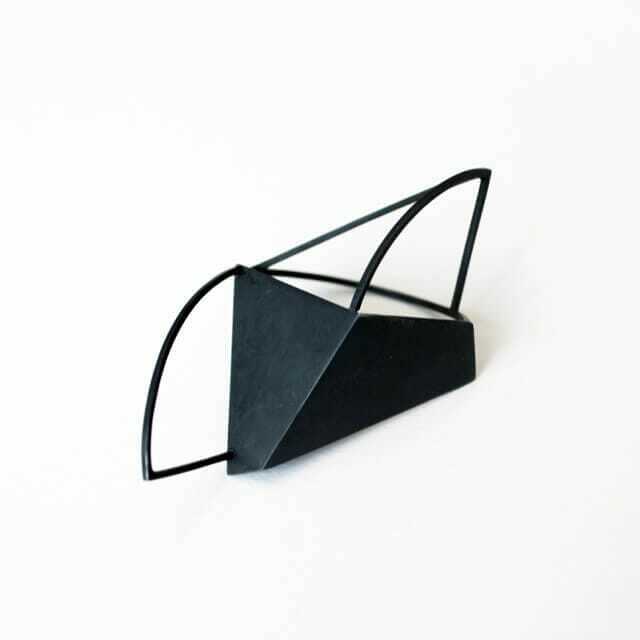 Inspired by distorted reflection and space within the urban environment, this sculptural ring embodies the fragmentary nature of observation; through the geometric framework of an ambiguous jewellery object. 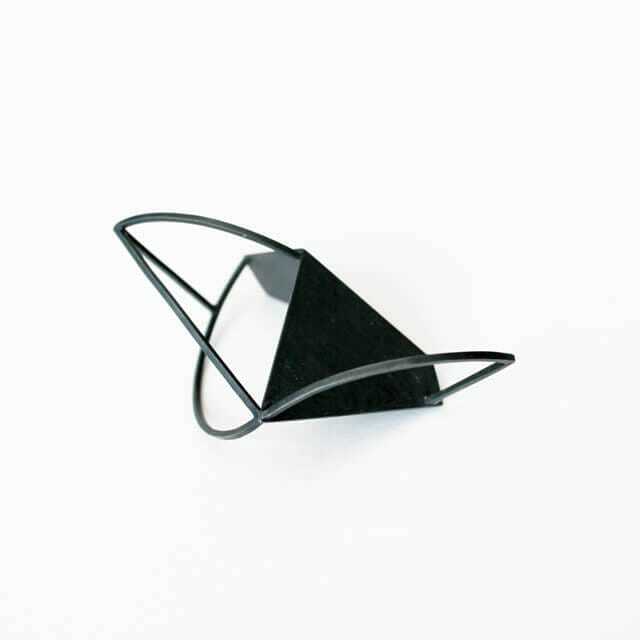 The oxidised finish emphasises negative space and contributes to the modern feel of this statement piece.